Relieve, Restore, Revive your most beloved furry companions! 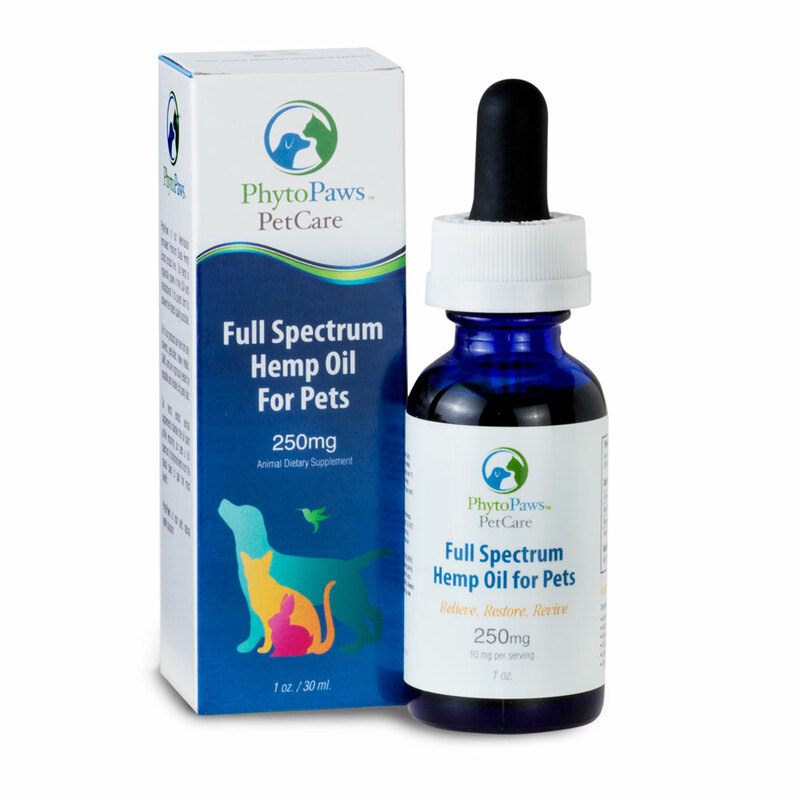 Our Phytocannabinoid Full Spectrum Hemp Extract Tincture products are formulated by a world renown Veterinarian and created with organic coconut oil and infused with our Pure Hemp Extract. They contain over 80% CBD and Zero THC (no psychoactive effects) compared to most competitors which contain only 17-40% CBD in their products. It is very important to have ZERO traces of THC in any ingestible animal products as the THC compound could have adverse effects. Rest assured, we are zero THC and have lab reports to prove it. 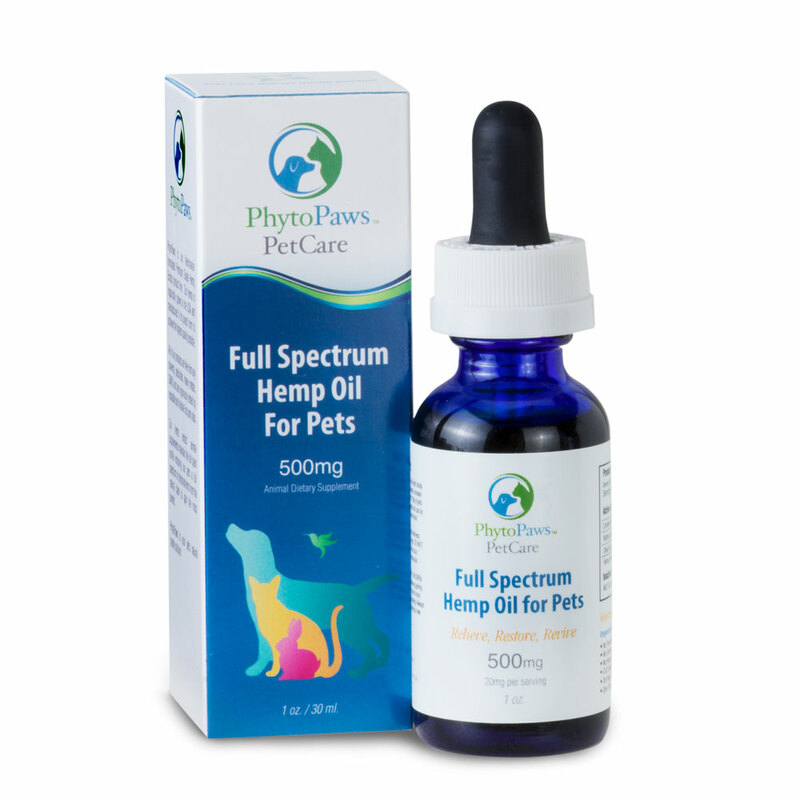 All PhytoPaws products are made with organically grown hemp and manufactured in a GMP* compliant state of the art facility in the USA. We use whole plant (Full Spectrum) Supercritical CO2 extraction process with a proprietary purification system allowing us to completely remove all THC and any impurities without disturbing any of the critical plant compounds needed for the synergy effect. *GMP, or Good Manufacturing Practice is a system for ensuring that products are consistently produced and controlled according to quality standards. ** These statements have not been evaluated by the Food & Drug Administration. This product is not intended to diagnose, treat, cure or prevent any disease. FDA has not evaluated this product for safety or efficacy. 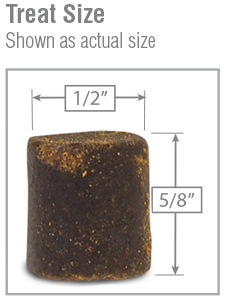 Our veterinarian formulated canine soft chews provide a full spectrum of synergistic phytocannabinoids that are naturally present in our organically grown hemp. Each soft chew is made with our water-soluble Hemp Extract and contain 2 mg of CBD. Water-solubility helps the CBD to absorb better in the body. Our products are Non-GMO and made with only the highest quality natural and organic ingredients. Your Dog will love the beef flavor and the treats are easy to digest. 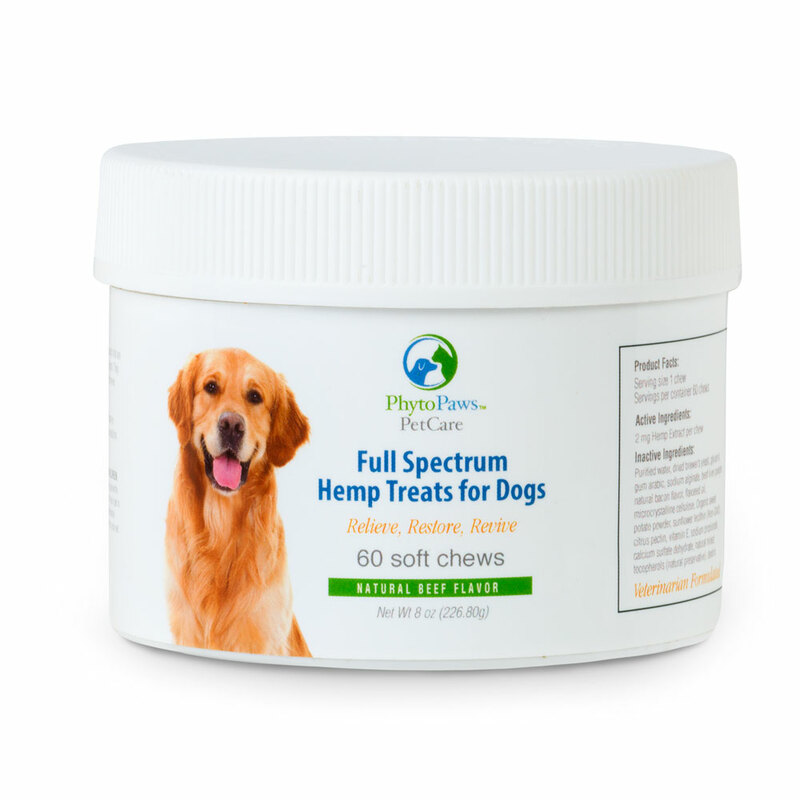 They are specially formulated to help canines with their health and wellness needs to relieve, restore, and revive working synergistically within to balance their endocannabinoid systems.